In the early morning of last Monday, a Tavera was waiting at the bus stand Anantnag for passengers to board. After a wait of nearly 15 minutes, lifting a few passengers from the spot, the driver keyed his vehicle to life, hoping that the remaining seats would be boarded on the way to Srinagar, 58 kilometres away. 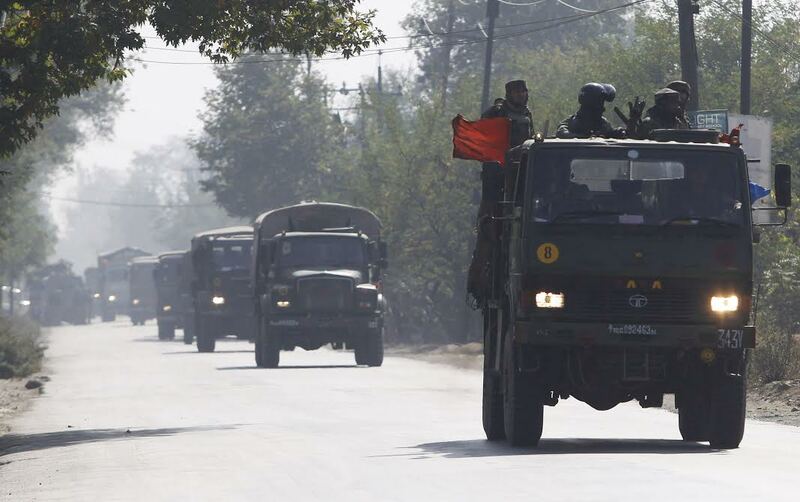 Nearly half an hour later, the Tavera reached Bijbehara at 8 am. Here, Aijaz Ahmad, a student was waiting on the road. Mounting the luggage on the vehicle top, he along with his father boarded the middle seat. Aijaz was destined to Srinagar Airport; the flight was scheduled at 12.30 pm; his reporting time was 10. 30 am. After the February 14, suicide attack at Lethapora, a wave of hatred against Kashmiris ran all over India. At different places, particularly Dehradun, West Bengal, Chhattisgarh, and even in Jammu – the other part of the state – the Kashmiris were singled out and humiliated. Aijaz was one of the victims of that hate campaign. Aijaz studies commerce in Mahavir Jain Higher Secondary School near Kachi Chawni in Jammu. Although he was not beaten up, “the mental trauma we suffered wasn’t less either.” Under a hovering threat, Aijaz had left in the wee hours of the night to reach home. Now after a month, although he was ready to join the studies again, given the memories of the last traumatic journey, he preferred an Air journey. It cost him Rs 3000, eight times lesser the amount he needed last time for the same – which he couldn’t afford and thus forced him to drive home in a trying situation. 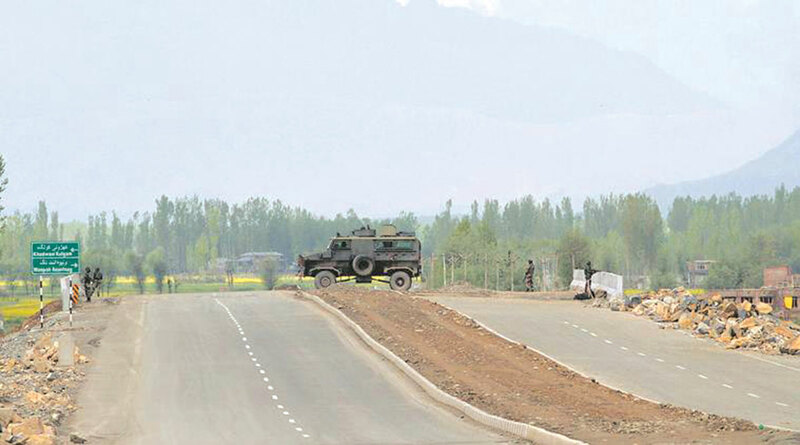 Fifteen minutes later when the vehicle reached Sangam bypass, it was stopped by the Central Reserve Police Forces (CRPF) deployed to guard the stretch. “From either side of the road, for the passage of just a few army vehicles we were made to stop every now and then,” said one of the passengers in the Tavera. “Near the village Chersoo as we were stopped, we thought the army convoy was about to pass and then we would have a smooth passage, but after 10 minutes wait, just four army jeeps moved past us; as they would have crossed more than a kilometre, then only we were signalled to move again,” he added. 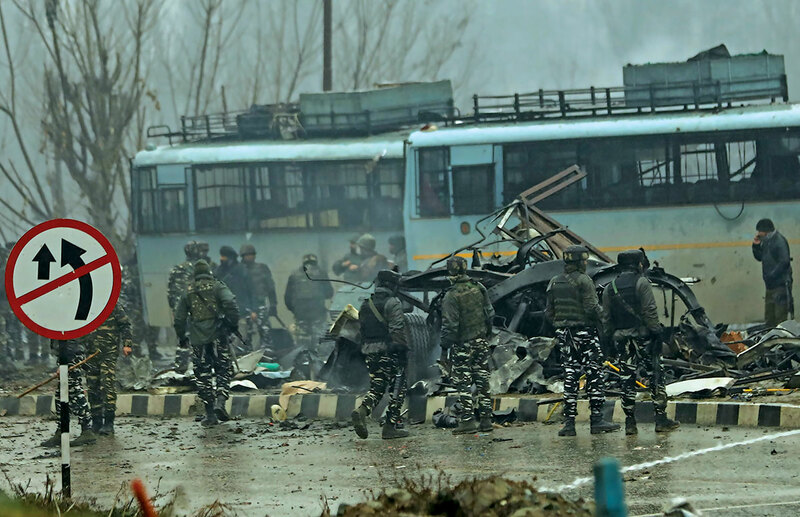 The Tavera got to the famous saffron Karewas of Pampore at quarter to 10; the same spot where more than a month ago, a suicide bomber rammed his vehicle into an army convoy, killing more than 40 CRPF personnel. Here, the forces wagging their sticks frantically were standing in the middle of the road. They were blowing their whistles hard, signalling the vehicles to stop. One of the army personnel drew an unnoticeable line on the road by the end of his stick; the mark nobody was supposed to cross. Once again the Tavera came to an abrupt halt, closest to the mark than others. More vehicles bundled in its rear. As time passed, the traffic thickened. Even the yellow coloured buses of different schools could be seen stranded in the middle of the jam. The expressions of the kids in the school buses were rife with astonishment. Actually, it was the first day of the opening of the schools after around three months of winter vacations. But the excited students had no idea whatever had transpired on the roads post-Lethapora-attack. As they were waiting for their vehicles at different spots on the roads, particularly on the highway, an “unusual thing” had come into their notice. First, their school buses were late than usual; second, the traffic would ply the road with frequent interruption. By the time, one more person had got into the Tavera, whose nose was plastered. He was going to see a doctor at Srinagar. Since he was not in a position to talk, he remained silent all along the way. After a while, when the driver sensed no immediate signal to go, he put off the engine again. Now the whole Tavera erupted into a discussion, which mentally ferried the passengers to the past. An elderly person in the Tavera said, “The present times are a reminiscence of the bygone period. When the militancy erupted in the valley, the same is what the soldiers would do then.” They would signal the buses to stop first, ask the passengers to come out, make them walk on foot for a distance, and then, at last, would allow them to board their vehicles again and go, he added. Apart from the shrilling whistles of the soldiers, the highway ahead of the Tavera was silent and deserted for about half an hour. During this period, Aijaz would more often check his watch, and then snap glances at his father. “We would make it, no worries,” his father would reply each time. From the Saffron Karewas, the Tavera left at 10:20 am. Since the road was congested now, hitting the accelerator was no option for the drivers. They, however, did their best to snake their ways to reach Srinagar as soon as possible. At the other end of the Saffron Karewas, the forces did a brief check before permitting all to go. Quarter to 11, the Tavera reached the Pantha Chowk stop. It was already crowded with both passenger and private vehicles. Another convoy was coming from across. Many of their vehicles had howitzers attached to their backs. The forces were again in action. The key of the Tavera was again spun. Again the discussions lead all to antiquity. He added they have to look for streets to meander through in order to cover their distances at the earliest. Lethpora car bomb attack site. During the 15 minutes stay at the particular stop, a boy from Anantnag got in the Tavera. He had boarded sumo at 7.30 am from his place, which disembarked him mid-way. For some business purpose, he was to go to Nawab Baazar in Srinagar. “It looks more feasible to take sumo from here to home than to reach my destination because I don’t think I could accomplish my work now,” he regretted. The driver of the Tavera buckled up again at 11:05. Sauntering behind a long line of other vehicles, he had to stop again at Badambagh cantonment. The green vehicles, one after the other, were emerging out of the cantonment. Meanwhile, the Anantnag boy was checking his Facebook, when he found a video on it, which had gone viral – on it, a man could be seen carrying a woman patient in his arms as forces had blocked all roads for a convoy movement near Iqbal Park, Srinagar. Leaving from the spot after ten minutes, the Tavera reached Lalchowk at 11:15 am. The driver had already promised Aijaz of dropping him at the airport, 10 kilometres away. By the calculations, it would take him half an hour more. Did he reach? Did the appointment of the man with plastered nose mature? Did the Anantnag boy pull off in his deal as well? All the passengers went their ways, and nothing could be confirmed.